My intention is to mostly talk about jewelry. However, my recent trip to Estonia influenced my jewelry making in several ways — while I was there, I took some classes in traditional Estonian silversmithing, and came back with lots of design ideas. For example, the face of Kalevipoeg (the Estonain national hero) and the form of Thor’s hammer that appear in ‘Gallery’ both came from Estonia. Therefore, I’m going to ask your indulgence for a new-jewelry post. I’m going to share a few pictures of an underappreciated, truly beautiful corner of Europe. 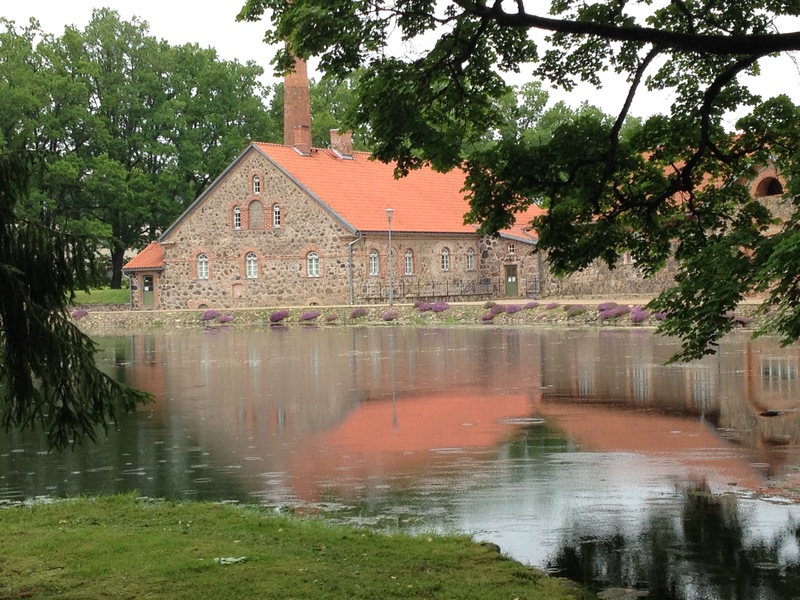 In summer, 2015, I attended the Viljandi Craft Camp, in Olustvere, Estonia. This is a picture of an 18th century distillery, where the silversmithing classes were held. Tallinn, the capital of Estonia, is Europe’s best preserved medieval city. 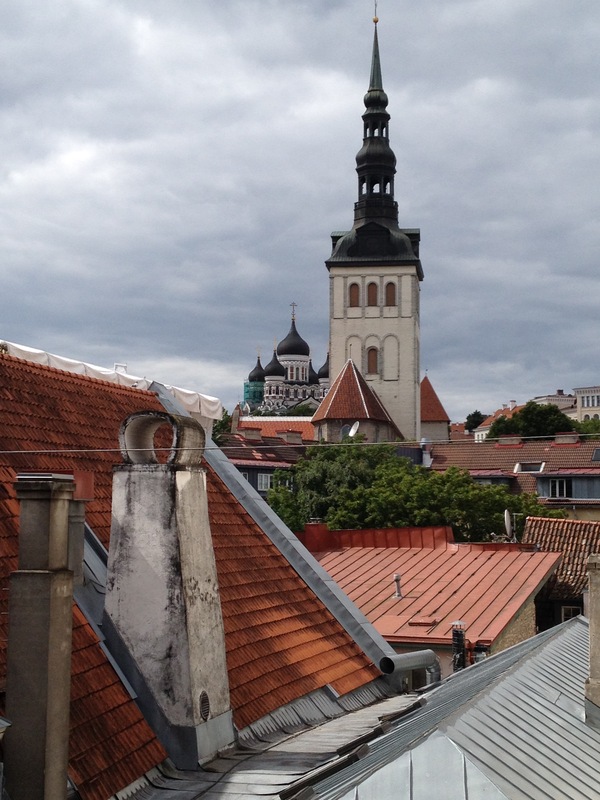 This is the view out the window of the hotel I stayed in in Tallinn. 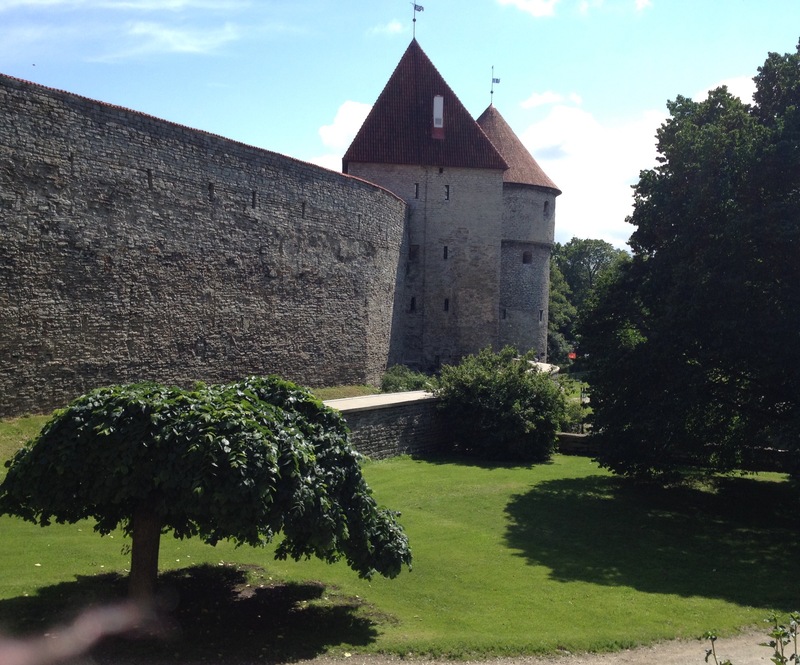 A small portion of the city walls of Tallinn. 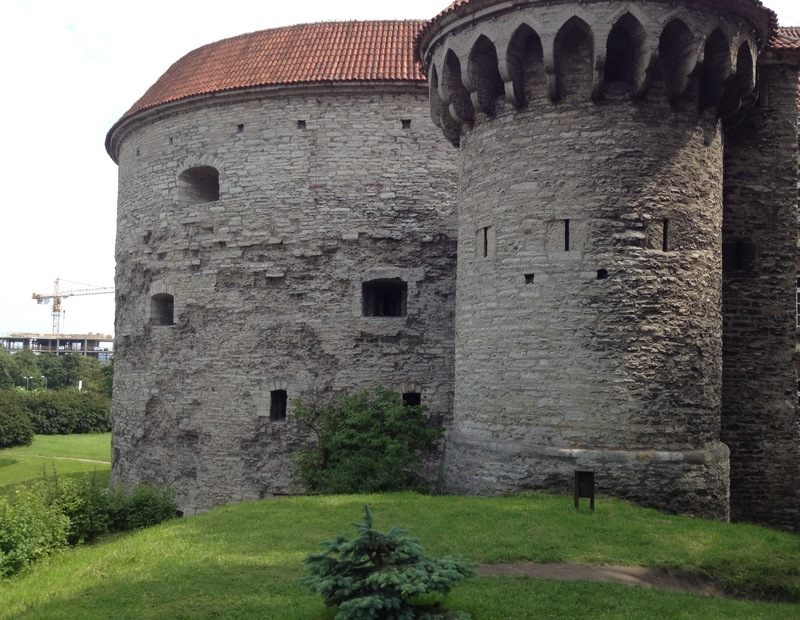 One of the guard towers of Tallinn. Like much of the ancient city, it is reputed to be haunted. No ghosts were present when I was there. They were probably out enjoying the sunny day! This is Old Thomas. The legend is that an important post in the city’s guard was to be filled by the winner of an archery competition. A commoner won. The city rulers didn’t want to give him the post, but they made him a guard. He became a fixture of the city. After Thomas (the commoner) died, an image of him was put atop the town hall. 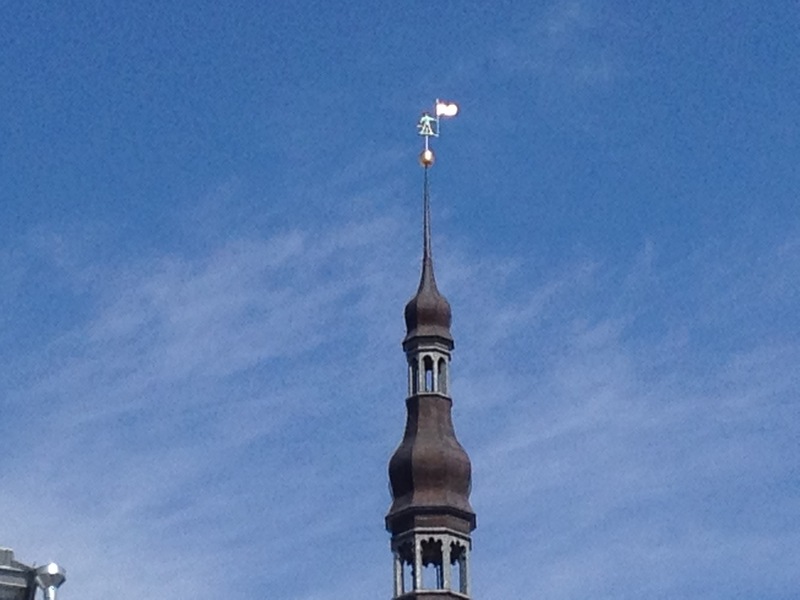 It has been refurbished, and even replaced, many times since the Middle Ages, but an image of Old Thomas has perpetually guarded Tallinn.